Jen Pastiloff travels the world with her unique workshop “On Being Human,” a hybrid of yoga related movement, writing, sharing out loud, letting the snot fly, and the occasional dance party. Cheryl Strayed, author of Wild, calls Jen “a conduit of awakenings.” Jen has been featured on Good Morning America, New York Magazine, Health Magazine, CBS News and more for her unique style of teaching, which she has taught to thousands of women in sold-out workshops all over the world. Bring a journal, and open heart and the willingness to grow open and stronger for her workshops. She is also the founder of the online magazine The Manifest-Station. Jen leads annual retreats to Italy and France and she is the guest speaker at Canyon Ranch and Miraval Resorts a couple times each year. She also leads Writing and The Body workshops with author Lidia Yuknavitch. Jen also offers scholarships to a woman who has lost a child through The Aleksander Fund. When she is not traveling she is based in Los Angeles with her husband and son and a cup of coffee. Her memoir On Being Human will be published by Dutton books in June 2019 and is now available for pre-order here. She has created a massive online following from her personal essays and teachings. 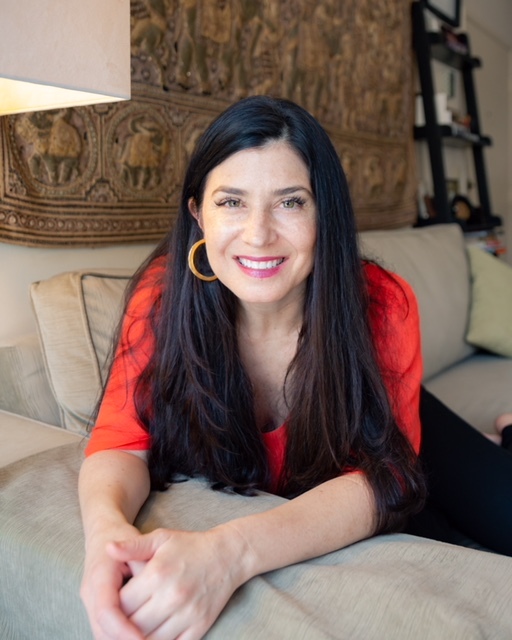 Jen Pastiloff is an amazing listener, and has built her identity and career around connecting with people. She also has profound hearing loss and tinnitus and is deaf without her hearing aids. As a result, she’s had to cultivate other ways of understanding and hearing, including reading lips, listening in a full-body way, and now embarking on a journey to learn sign language (despite her fear of failing). On today’s episode, Jen and I talk about the specific challenges that come with tinnitus and profound hearing loss, the assumptions people make if they don’t know that she’s hard of hearing, and how a sense of courageousness and honesty about her experiences--both the positive and the painful ones — helped her carve out a space to truly be herself.